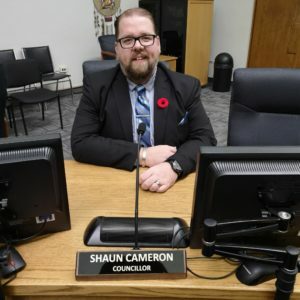 Shaun Cameron was elected to council on October 24, 2018 to serve as the representative of the University ward. 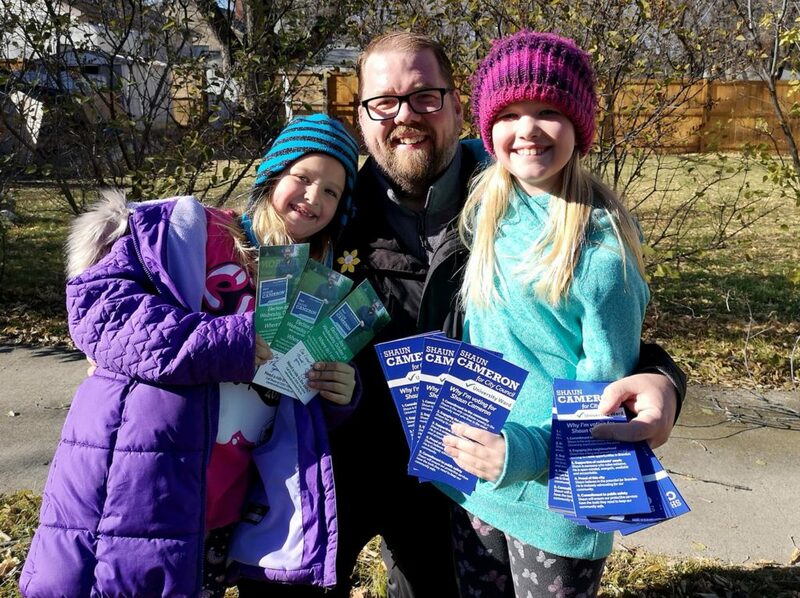 The father of two has a long public service and volunteer history that dates back to his years working with the Brandon School Division at Vincent Massey High School. Shaun has been involved in some form of public life since 2010 when he was appointed to the Downtown Development Group. Cameron would serve as chairperson for the group through 2014, when he and his family would move to the Valleyview area. From there, his involvement has included work with the Valleyview Community Centre, as well as serving as the area representative on the Central Council of Community Centres, an advisory body that oversees all centres in the city. Cameron owns his own production company and spent time in media with CKX television as well as being a longtime Brandon Sun columnist. He would eventually come back to the education field in his current role as Secretary to the Board of Governors with Assiniboine Community College.